This is the second article that I have written as a critique of the project Guerrilla Skepticism on Wikipedia (GSoW). My original post can be found here on Skeptic Ireland. Here I will address the response from Leon Korteweg, who is a member of the GSoW—so yes this is a response to a response, perhaps I’ll stumble upon a pithier way of saying that as I go on. My original post is very much informed by my PhD research which is looking into how collectively-driven knowledge-building projects, such as Wikipedia, are changing behaviour and language to do with curation and the role of curator. As I worked in the museum industry for a number of years, my research looks at cultural institutions and associations, but as I become more and more involved in Wikipedia my non-academic interests creep in there as well. That tells you why GSoW garnered my interest in the first place. The response from Leon focuses on the main issue that I found with how GSoW organise themselves—namely in a private (or secret as they previously referred to it as) forum in which they discuss potential content, train people in editing, and possibly have other conversations, but as it is private I don’t know exactly it’s make-up. It is this private nature of forum that appears to go against the normal operation of groups and Wiki Projects on Wikipedia. So I will address the most salient points that Leon brings up in relation to my initial critique, some of which have been echoed in the comments and on social media by others on both sides. Thus as an observer (which is all that I have claimed to be) I cannot become a member of the group and I was unprepared to misrepresent myself or my interests just to gain entry. Whilst my research incorporates elements of ethnographic theory, I was not going to go “undercover” and my actions to be possibly seen as “snooping.” The fact they do not let observers in brings me to the main objection I have to the forum. As skeptics, we are assured that the content that GSoW generates and the discussions they have are all perfectly innocent and fall within the best practices of not only Wikipedia but of our community. All of the criticism is met with calls to simply trust them; that we don’t need to know the details but that it is all just “good stuff.” However, as skeptics, I feel that we should hold ourselves to the highest standard possible. Both the scientific method and Wikipedia itself are built on transparency of process to allow for replication and full disclosure. Here I would propose that if this was the “other side” that was doing what GSoW are doing, alternative medicine proponents, ghost hunters or whomever, how would the skeptical community respond to that? Surely there would be an outcry? Why are we holding our own community to different standards? Just because it serves us, that it promotes our representatives, initiatives and groups, does not make it okay to conduct ourselves and hold ourselves to a different set of standards than we would impose of others. In my original post I suggested that the actions of the GSoW could be viewed as a secret cabal. Leon has taken this quite seriously, and rightfully so as such cabals are frowned upon greatly within the Wikipedia community. He spends a great deal of the response going through the various identifiers of a secret cabal and countering each one. However I did not specifically say that they were one, I said that they could be viewed as one—and that is a subtle but important difference. Once again it comes down to the standards to which we hold ourselves as a skeptical movement. It comes back around the “Sheldrake Affair” where GSoW was wrongly accused by Rupert Sheldrake and Deepak Chopra of aggressive editing, censorship, and squatting on articles. My main point remains though; as long as they conduct themselves away from the main talk pages of Wikipedia and use a private forum they will never be able to defend themselves fully from those accusations. Again, the highest possible standards are demanded from the detractors, and to be beyond reproach we should aim for those and even beyond. The mere hint that there is secrecy or an agenda at work has the effect of poisoning the well such that all the content ascribed to the GSoW could be viewed with suspicion. Given that the private forum is my main concern, Leon breaks those down their argument for the forum into five parts (A to E). He also explains that due to some comments that they no longer refer to it as a secret forum (as I called it in the post) and now refer to it as private. I would argue that that is purely semantics—one person’s private is another’s secret. It was the language they employed and now they are trying to revise it in an attempt to temper criticism. To me it could be called discrete or invisible, it still operates outside of the communal gaze of the Wikipedian community at large and thus I will continue to take issue with it. Anonymity. Leon attempts to argue that the forum is a protection for those who wish for their editing activities to remain anonymous. 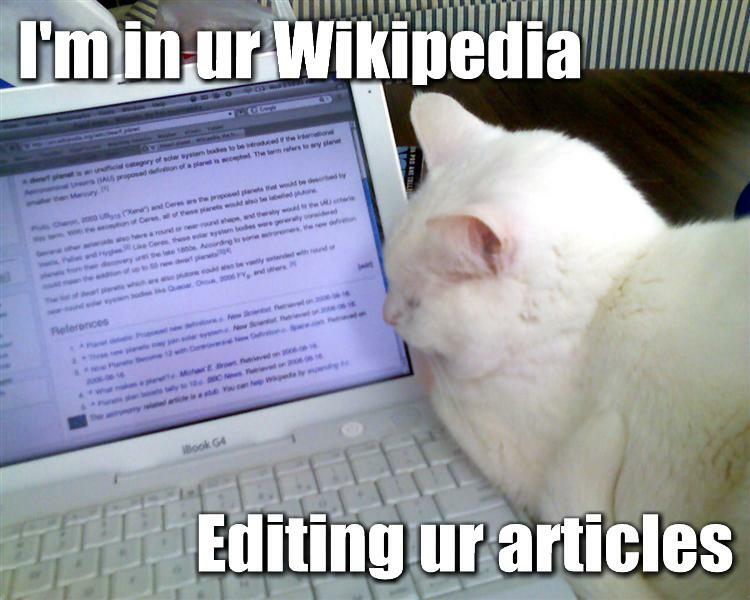 However he also points out correctly that there is no requirement in becoming an editor on Wikipedia that demands for you to break that anonymity. If you can edit under a nickname or pseudonym, giving no illusion to your identity on Wikipedia, how does being a member of another private forum aid in that? GSoW does not offer them the anonymity, Wikipedia does. I would go so far as to say it is nonsense to say that GSoW confers greater protection somehow. To me this is a massive problem from Conflict of Interest (COI), something I discussed at length in my original post. It come down to the point that if you are concerned about hurting someone’s feelings you should not be editing their page as that concern will inevitably impact on what you may end up writing. The fact that the membership do not view this as a COI problem is an issue in of itself. Preparing an article without interference. The response here is a little confused and does not really engage with the issue that I raised. Any editor can start writing an article, slowly and with no interference, in their own Sandbox area. They are then free to share that with other editors and to discuss it within those confines until such point as it is ready to be published on Wikipedia. There is simply no reason that this initial drafting be done away from these spaces, unless some of the conversations are somehow inappropriate or could be massively misconstrued. Again, if they are concerned about people’s feelings then the writing and editing should not be happening in the first place.He states that “once an article is published, criticism by and discussion with others on Wikipedia itself is welcomed.” My argument would be that it is this division of GSoW from the rest of Wikipedia that is fostering a negative perception. It is sentences such as this that create a dichotomy in which other Wikipedians, skeptics or otherwise, are only permitted into the discussion after a point of GSoW’s choosing, and I would say that they should not be making that call. Training to prevent “biting” (a.k.a. “throwing yourself to the wolves”). My main issue here is not entirely focused on the fact the GSoW conduct their own independent in-house training, but rather it is that in interviews and articles they give a false impression that such mentoring avenues do not already exist on Wikipedia. Wikimedia, as a whole, is very aware of issues surrounding fostering new editors, countering the editor gender balance, or encouraging content in other languages and most of its activities are focused on addressing these. Again, it is the perception that GSoW is fostering that is the issue here, and by lauding their own mentoring schemes, they paint Wikipedia erroneously as this otherwise unforgiving and threatening place. Better than WikiProjects / Motivating eachother [sic]. This is very much Leon’s own perception of Wiki Projects and I don’t think it furthers the discussion to address them, he doesn’t like them so he dismisses the idea. Given their success, assessment and continued use throughout Wikipedia I find it difficult to accept that they are justified in ignoring this route as they believe it doesn’t work. Given that Leon purports they apply the scientific method in their activity, to reject this possibility due to an emotional reaction to it seems at odds with that claim. It appears that the fact others are not “fine” with it is immaterial. Whilst claiming to be open to critique or criticism such a closing line is not conducive to further constructive discussion on the topic. It brings us back to this reassurance that we should just trust them to do what’s right and that we needn’t concern ourselves with the private forum. They’re on our side so why should we have a problem with it. I would argue that if they are unprepared to engage with elements of their own skeptical community in a more open fashion then I will continue to have a problem with it. Good article, this points to a very large potential for conflicts of interest and misuse. There is no reason that these things should not be conducted, at least partly, in the public forum. That makes my issue with GSoW even more nagging. I’ve always thought that Tim Farley and Susan Gerbic were a bit too zealous when recruiting for GSoW, going as far as to suggest that another skeptical blog or podcast would be a waste of time and that instead you should edit the wiki. Seemed self-serving at the time (and a little preachy) and now there’s a whiff of sinister as well. If you are making changes to Wikipedia, the reasons and debate behind those changes should be public. You can justify your own desire for secrecy, but the responsibility for transparency is greater, so you folks should either stop editing, or have all your debate in public. If you have things to hide, that is bad. If you don’t have things to hide, go public. I came into these articles pretty supportive of GSoW and you’ve shown my lack of skepticism. I appreciate that you demonstrated how the project is at best superfluous, given Wikipedia’s existing programs, and at worst counterproductive and a violation of ToS. I really appreciate everyone’s feedback and I’m glad that it seems to chime with others. I hope that it inspires a bit more open debate and conversations about this, and other similar skeptical activities. I feel bad that I’m reading this so late, but I find it interesting that a lot of the concerns you raise here and in your original article mirror concerns Tim Farley had with the Atheism+ Block Bot on Twitter. The Block Bot made a lot of changes as it grew into a more expanded role, some of which addressed Farley’s concerns. I wonder if he’s done or will do the same with GSoW.